KVMSwitchTech brings EMI Shielding Feature to its DVI Splitter and DVI Extender Products. KVMSwitchTech’s new and enhanced DVI Extender over single Multimode Fiber Optic cable offers all the benefits of fiber optic cables while reducing the cost by using a single fiber cable. The adoption of Fiber Optic cabling to replace copper has been slow for end-users, there is no doubt that the advantages are important to the scientific, medical, military and government organizations. Though it is currently more costly, Fiber Optic cabling provides greater bandwidth at longer distances than traditional copper cabling. This can be very important in environments that require high precision. 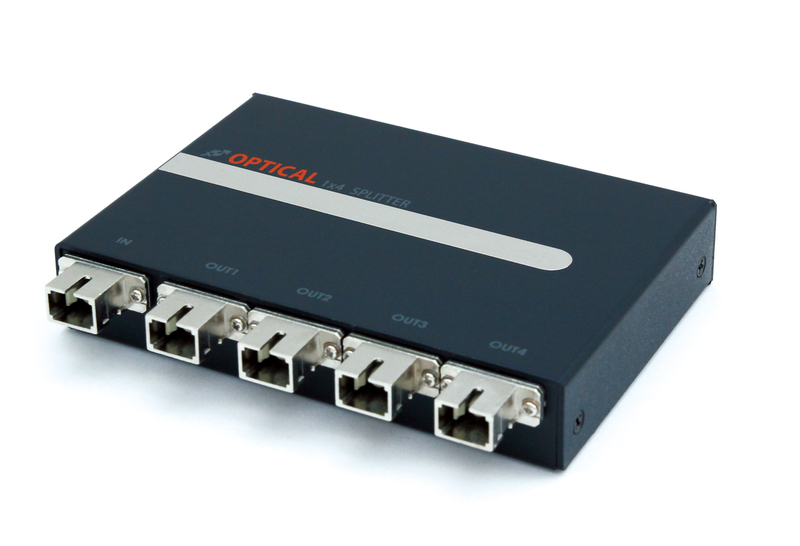 KVMSwitchTech has also added advanced DVI Splitter and DVI Video Matrix Switches with interchangeable fiber optic extender cards. These splitter extenders and Video Matrix units offer DVI-D Single Link video resolutions at incredible distances. 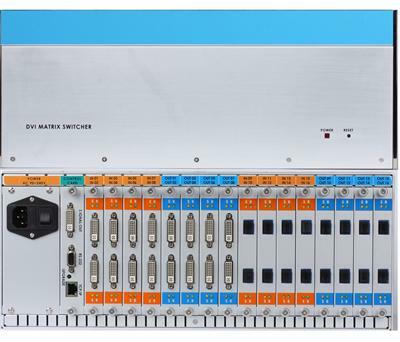 They come in a multitude of configurations ranging from 4 port splitters using SC type single-mode and multimode cabling, up to 16x16 DVI Matrix Switchers with interchangeable 2-channel input/output cards with both fiber and copper transmission options. All of these options feature EMI Shielding to protect against signal loss and image degradation. They are CE, FCC and medical grade UL compliant making them ideal for installations in locations such as hospitals, laboratories, and testing facilities. KVMSwitchTech also provides USB 2.0 Fiber Optic Extender products for locating peripheral devices further away from the control console. This provides users with the ability to safely utilize precision diagnostics equipment without subjecting the users to harsh environments. The USB Extender products are ideal for high speed USB data transfer applications. KVMSwitchTech is a dedicated group with extensive experience in the Keyboard, Video, and Mouse industry. Their many years of experience provided them with deep knowledge of KVM equipment. This knowledge is evident in thorough phone and email support. Whether providing project planning, configuration advice, or simply troubleshooting KVMSwitchTech staff is friendly, courteous, and patient.